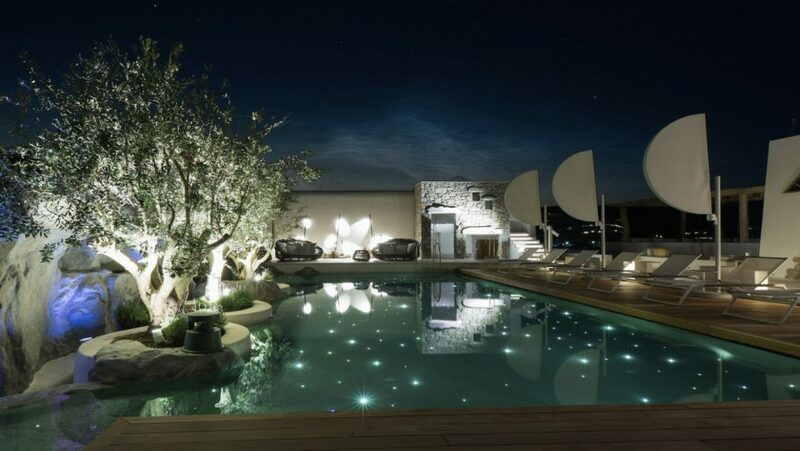 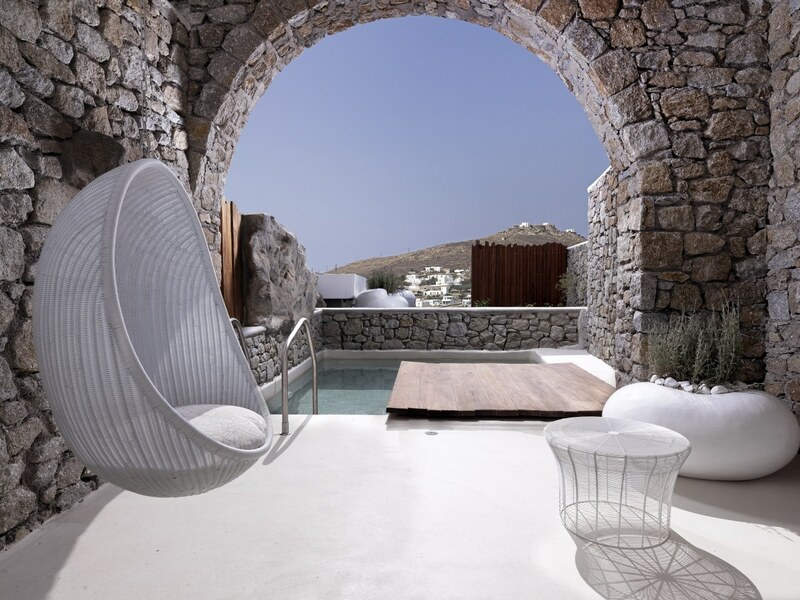 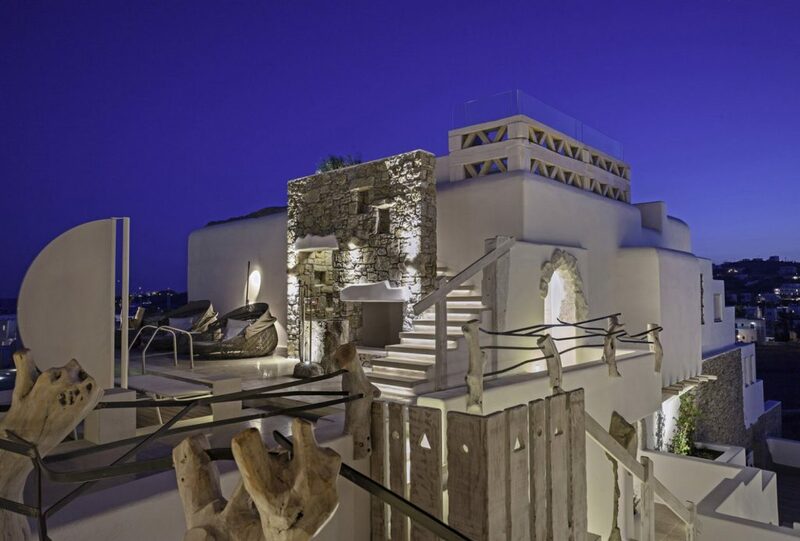 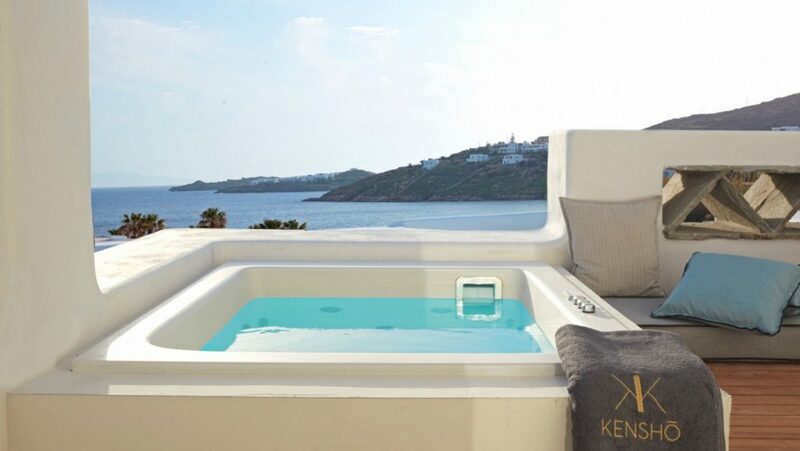 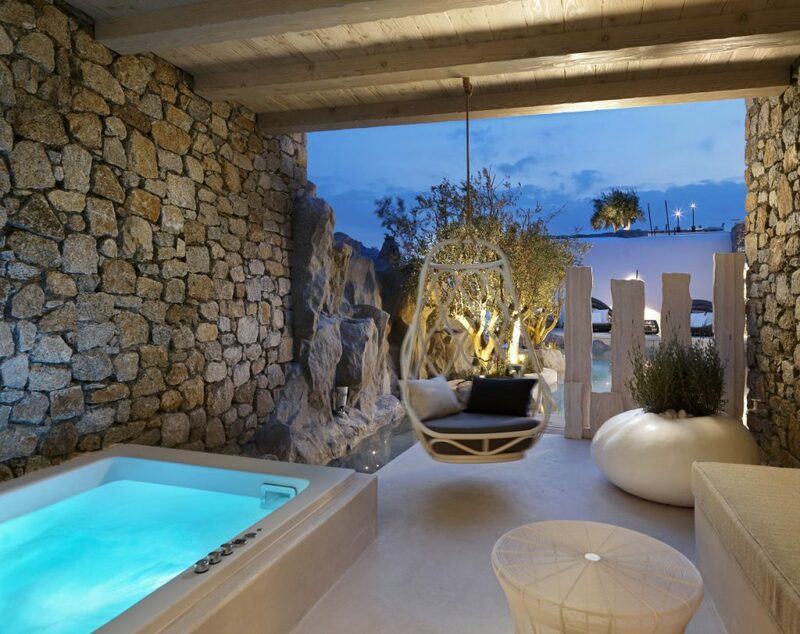 Description: Overlooking Ornos bay, Kensho is a luxury boutique hotel which has been designed using local materials and cool Aegean Architecture. 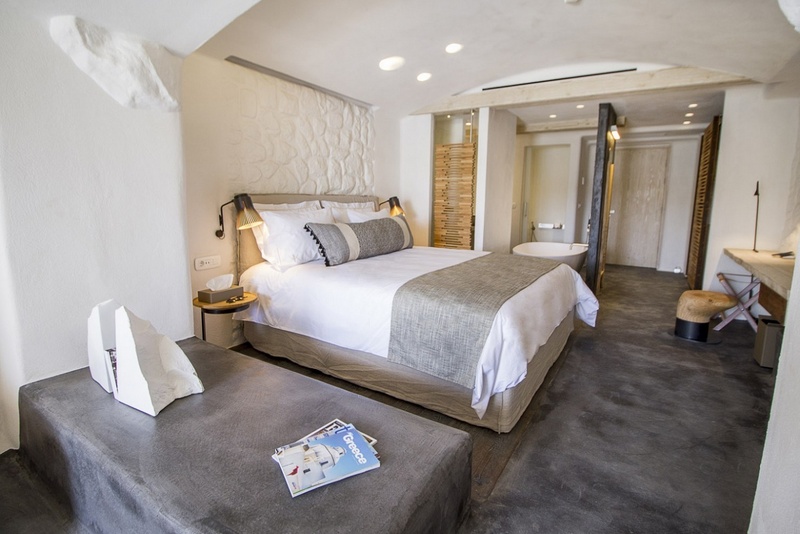 All of the 25 luxury rooms and 10 suites have been decorated to an extremely high standard, with each offering its own individual style. 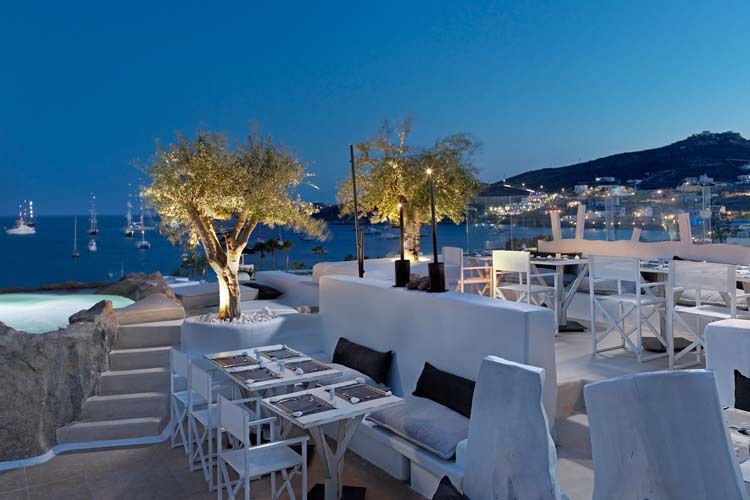 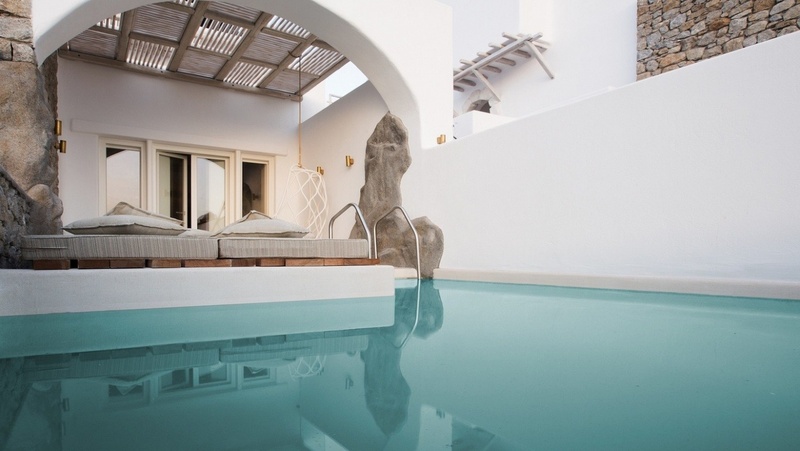 The hotels restaurant offers delicious Greek and mediterranean cuisine, the decor is both stylish and imaginatively furnished, the staff attentive, discreet and friendly. 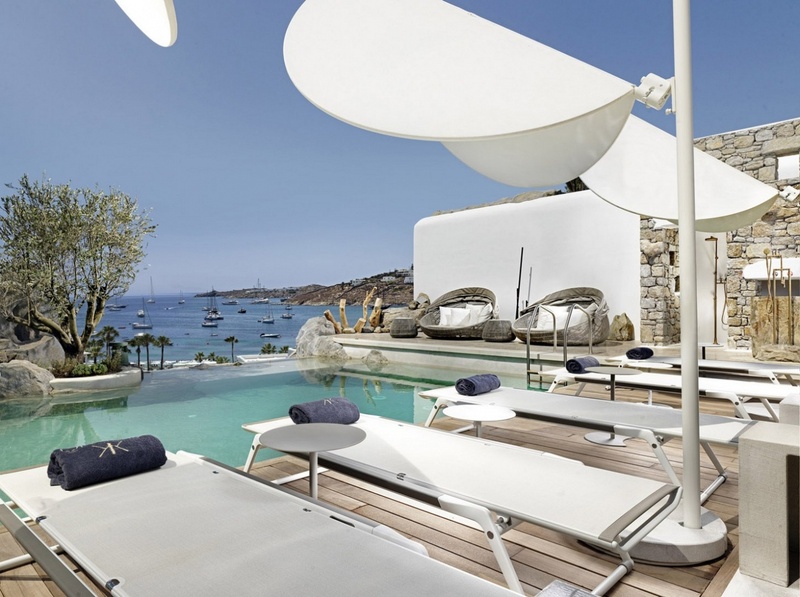 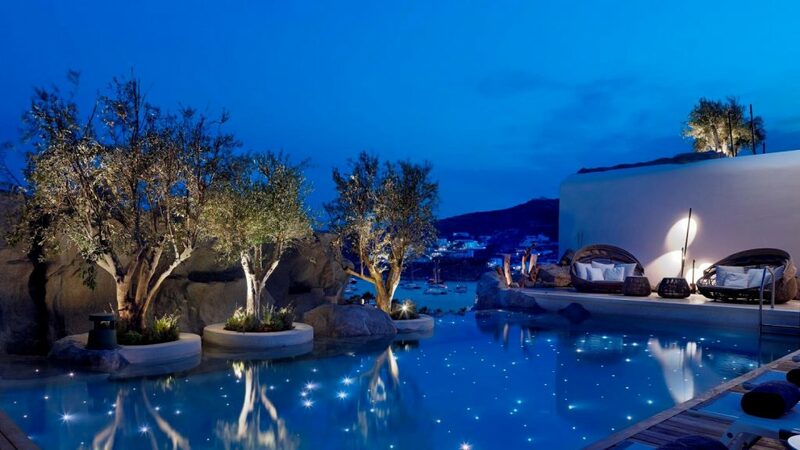 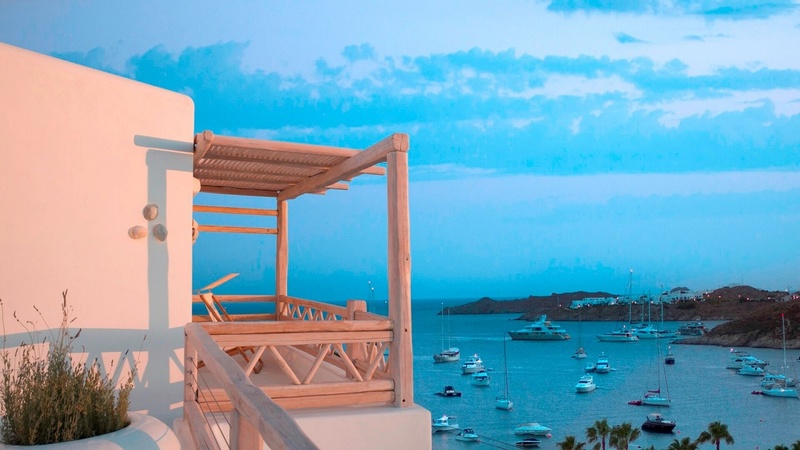 The hotels pool bar offers a selection of light meals and snacks, plus some amazing cocktails prepared by one of the hotels professional team, the perfect place to enjoy the Mykonos sunsets. 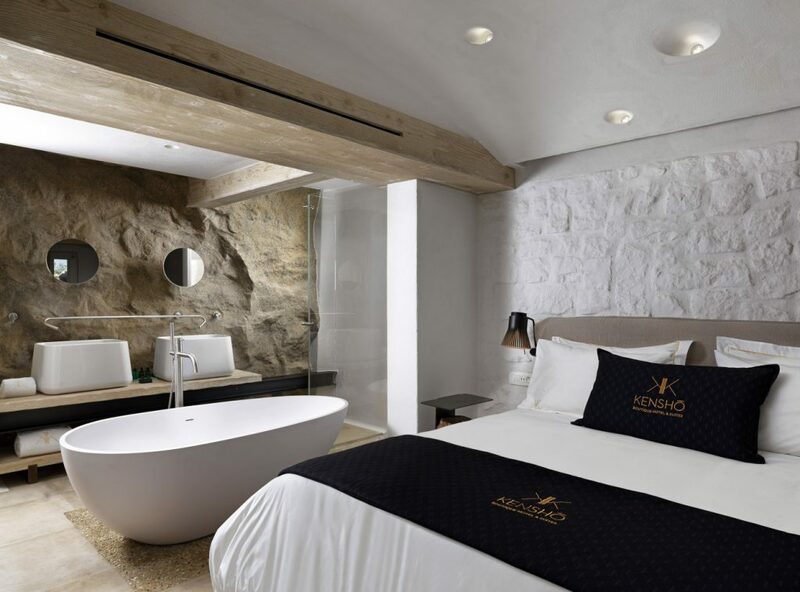 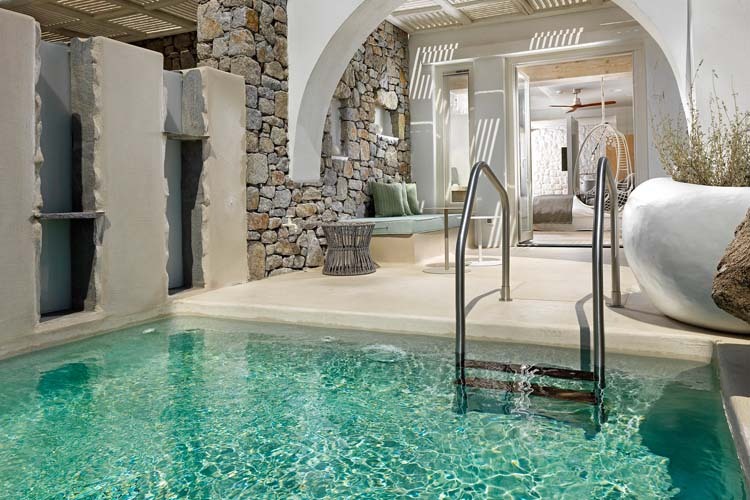 Kensho offers a total of 25 Luxury individually styled rooms and 10 suites, most feature private jacuzzi tubs or plunge pools. 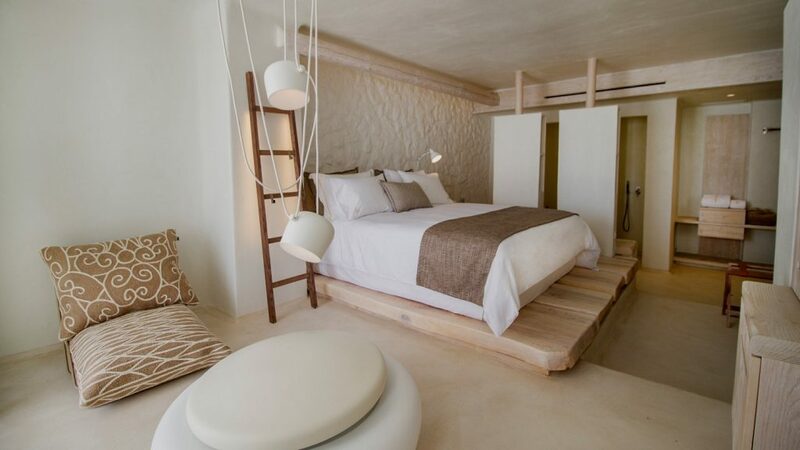 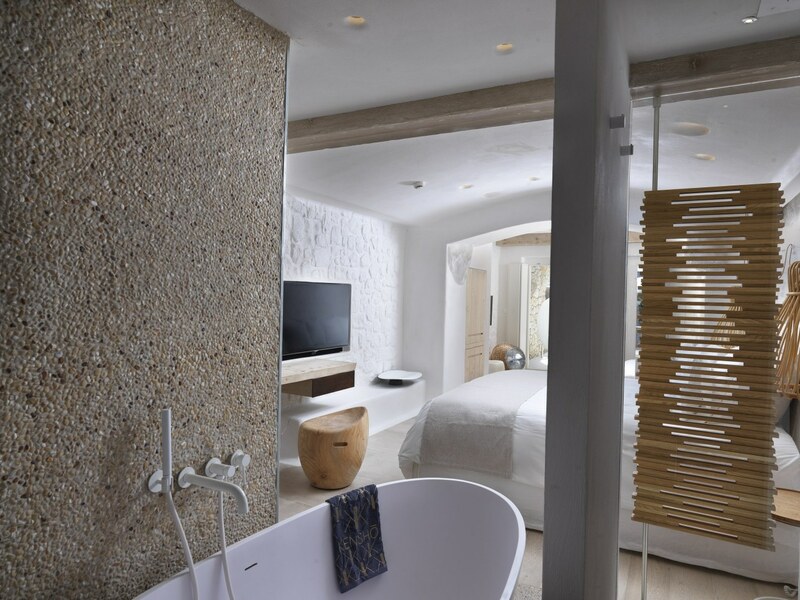 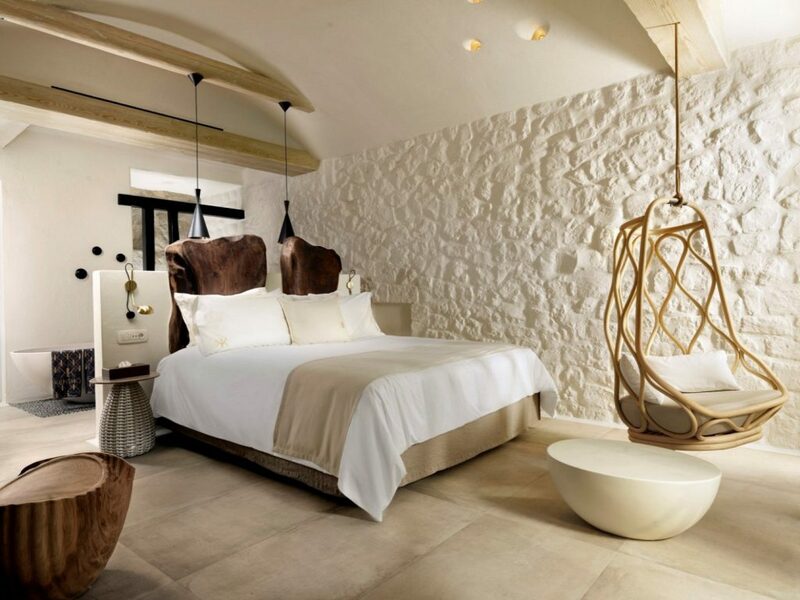 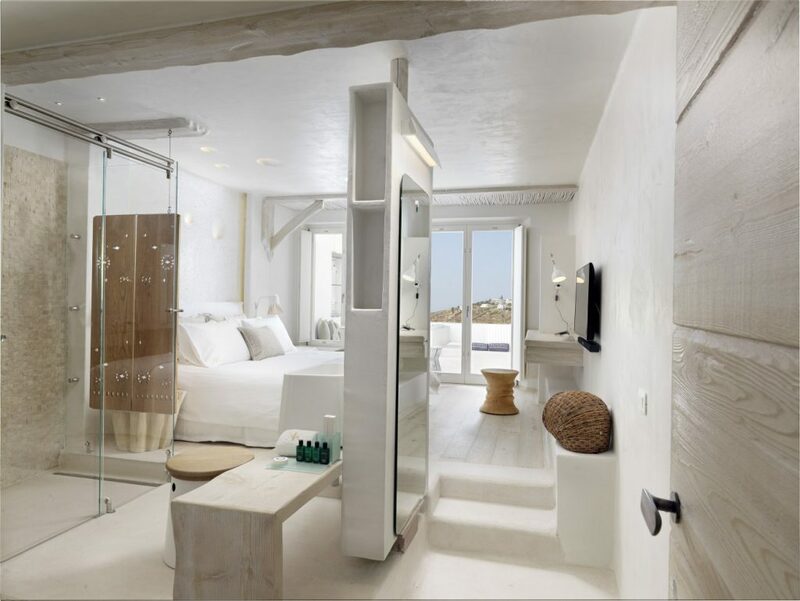 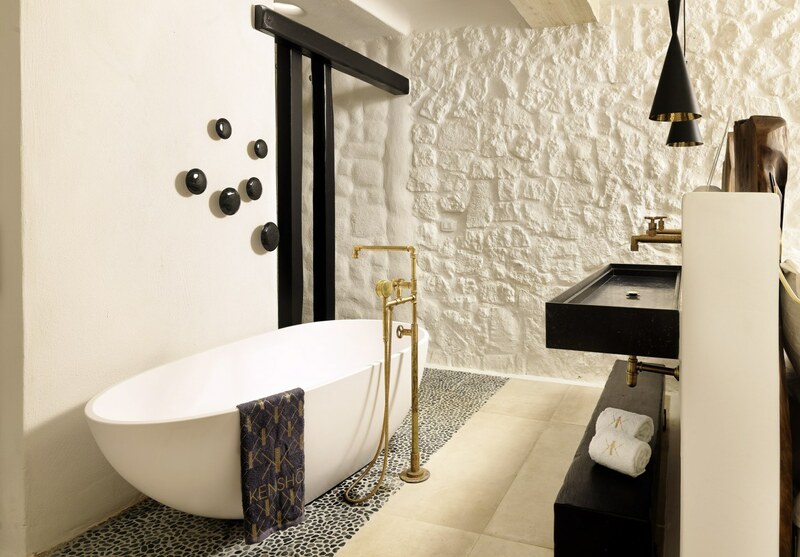 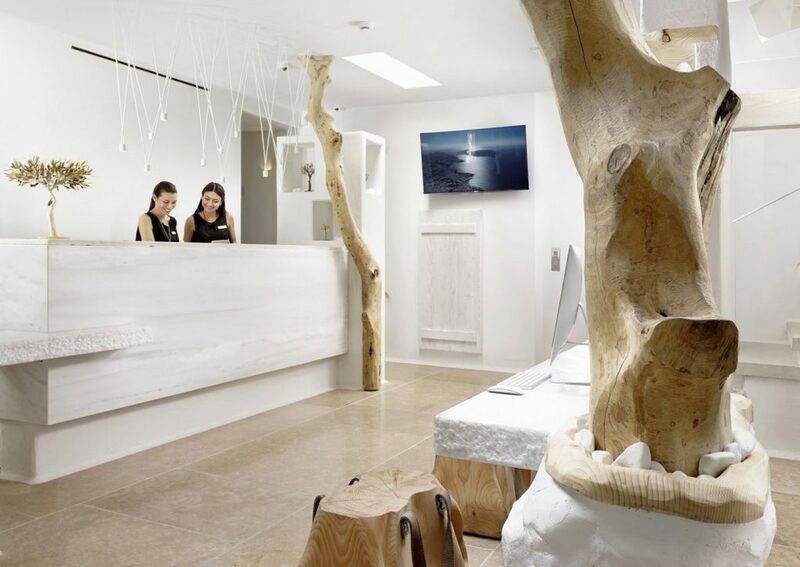 Each room has its own style using natural materials and soft colours, this gives the Kensho Luxury boutique hotel air of relaxation and tranquillity.